Bruchac, Joseph. (2016) The Hunter's Promise: An Abenaki Tale. Wisdom Tales, US. Van Camp, Richard. (2016) The Lesser Blessed (20th Anniversary Edition), Douglas & McIntyre, Canada. Please share this page with teachers, librarians, parents--anyone, really--who is interested in books about Native peoples. As we come across additional books published in that year, we will add them to this list. If you know of ones we might want to consider, please let me know! 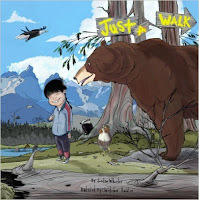 A few years ago, I read--and laughed aloud, as I read--Jordan Wheeler and Christopher Auchter's Just A Walk. Those of you who like Numeroff and Bond's If You Give A Mouse A Cookie will enjoy this book, too. 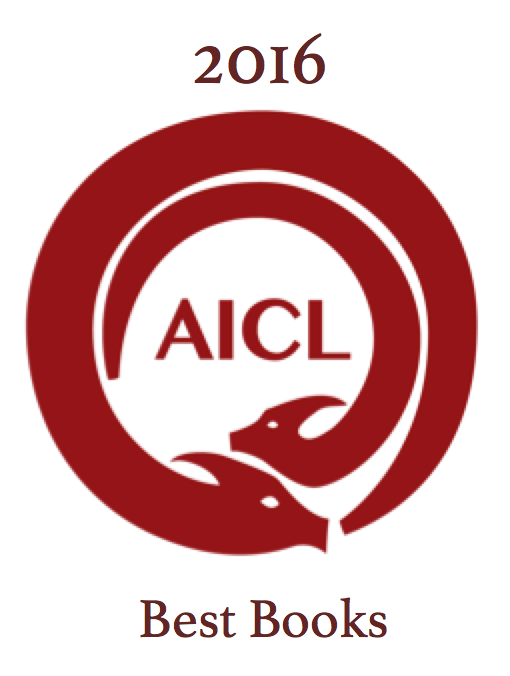 It is similar in style, with one thing leading to another, and at the end, circling back to the beginning. Along the way? Lot of humor, lot of rhyme. Wheeler is Cree; Auchter is Haida. Regular readers of AICL know that I love to recommend books by Native writers and illustrators because teachers can use that all powerful two-letter-word, is, when they read this book to kids. That tiny word brings us out of the long ago past and into the present day. 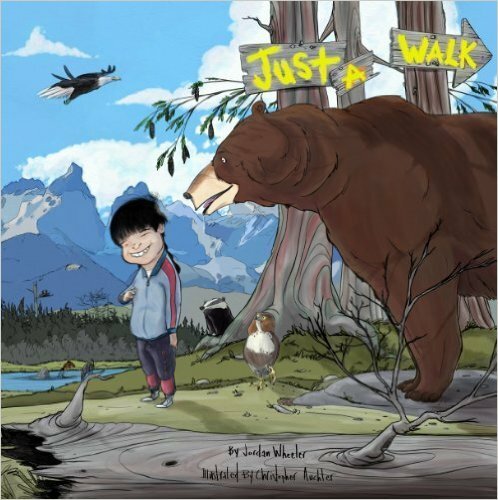 The main character in Just A Walk is a little boy named Chuck. 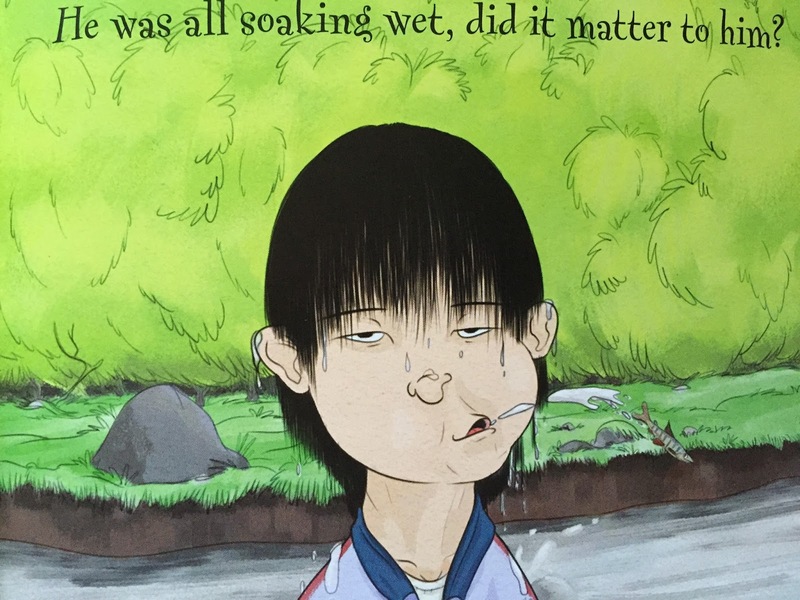 The book came out in 2009 from Theytus Books, a small publisher in Canada. One day, Chuck decides to go for a walk. He's got no plan for this walk. He just sets out, walking. He looks up to the sky and sees a hawk. As he walks, he watches that hawk as it flies, across the sky. If you've ever watched a hawk, you know it can be mesmerizing as it floats, flaps its wings, dives, and darts! Well--because Chuck isn't watching where he is going.... he falls in a river. But he can't swim! He grabs onto a fish and thinks it'll be ok, but that fish takes him over a waterfall. As he falls, his braids catch on a branch. He dangles there, but of course, the branch breaks, and down he goes. He'll encounter a badger, and a bear, and an eagle... and when he finally gets home, his mom gives him heck. Where have you been?! she exclaims. He grins and says he just went for a walk. Like I said, this story is funny! Reading it aloud will invite the kind of rhyming word play teachers like at storytime. I recommend it, and am glad that Kateri Akiwenzi-Damm asked me about it yesterday on Twitter. She's Anishinaabe and a founder of Kegedonce Press.